An arduino embedded micro controller with BLE that you can program wirelessly. I came across the LightBlue Bean after experimenting with the Blend Micro and Rfduino embedded micro controllers as an extension to the arduino RC buggy hack - all of which are arduino compatible and have integrated low energy Bluetooth chip sets. What is unique with the LightBlue Bean is the ability to upload custom firmware over BLE - no more USB cables! The device is based on the Texas Instruments CC2540 chip and offers an arduino AVR core and an inbuilt 3-axis accelerometer, an RGB LED, 4 PWM pins, 2 analog inputs, 8 GPIO while running off a single CR2032 3V battery and the creators report up to a year of power. The team offers a firmware loader that unfortunately for most (not myself) only is available on the Mac OSX operation system with version 10.9 or greater - this is mainly due to the integration of low energy Bluetooth. A Windows 8.1 version is in development and it doesn't look like there is any love for Linux users for the immediate future. 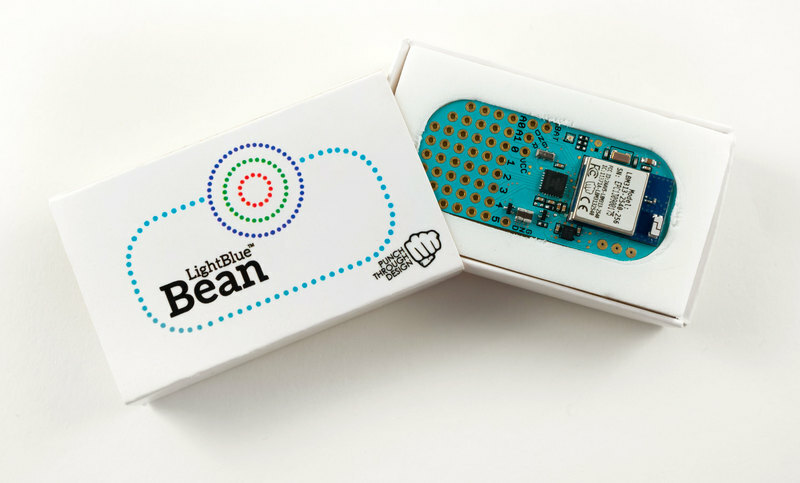 I just ordered the 4x LightBlue Bean and maker kit for a total of $124 USD including shipping.